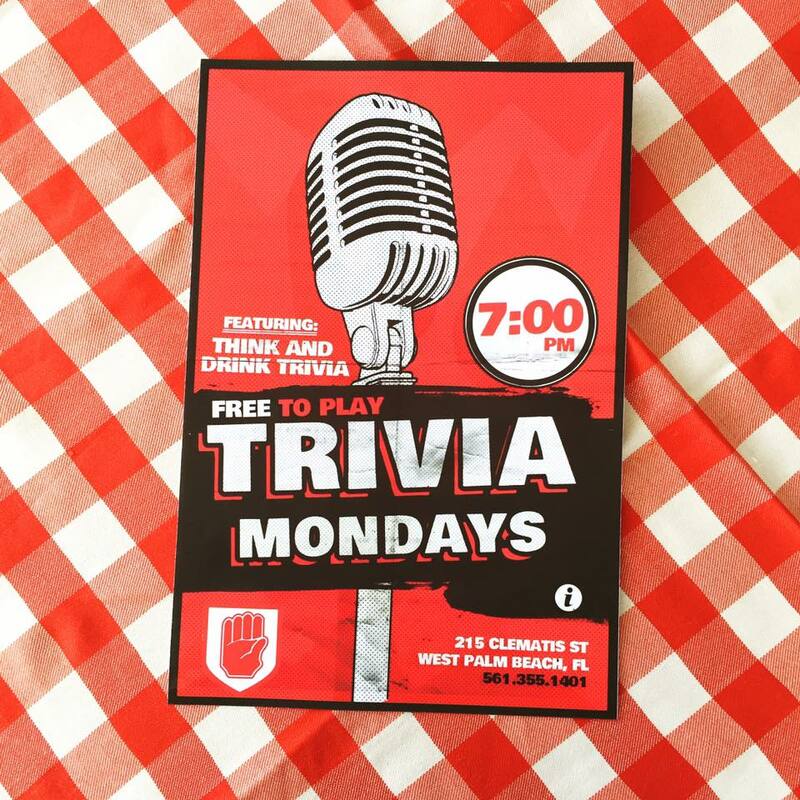 South Florida’s premier trivia troupe has teamed up with Dorrian’s Red Hand to bring it’s infamous “Think & Drink” to downtown West Palm Beach every Monday for a night of fun and frivolous factoids. Emceed by the one-and-only Boston Paul, the two-hour Think & Drink is open to individuals or teams, competing for prize winnings of $50 (First Place), $15 (Second Place) and $10 (Third Place) bar tabs. 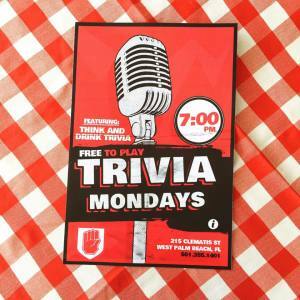 Held from 7 – 9 p.m. every Monday night, “Think & Drink” participants may also take advantage of an extended Happy Hour, which is offered until 7:30 p.m. on trivia nights only. For more information, call (561)355-1401.